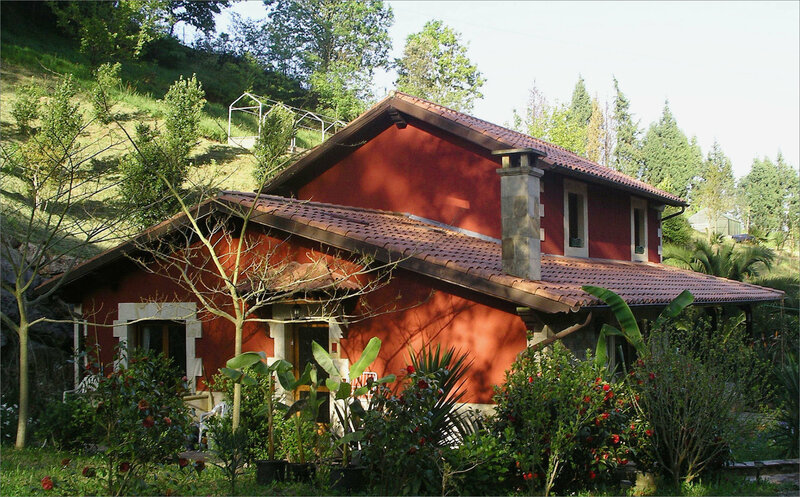 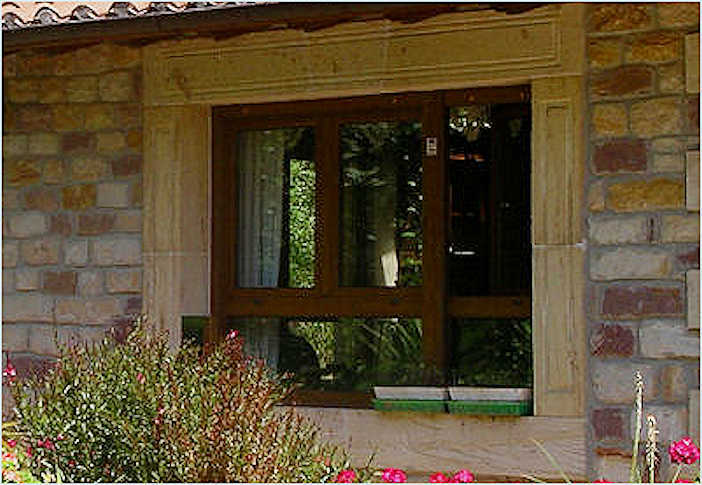 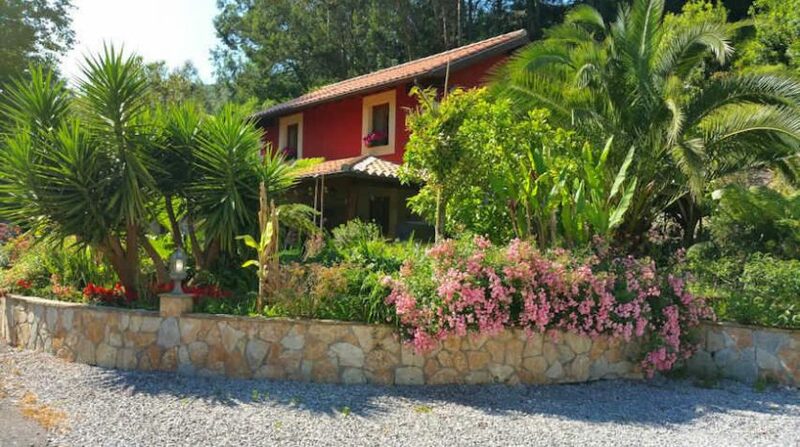 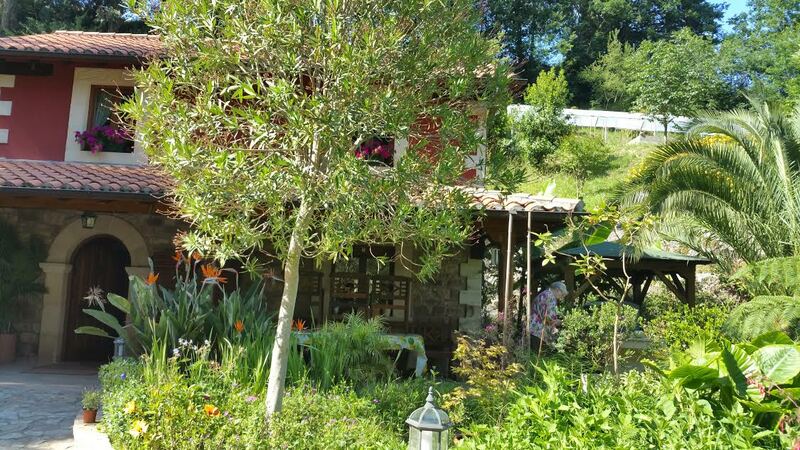 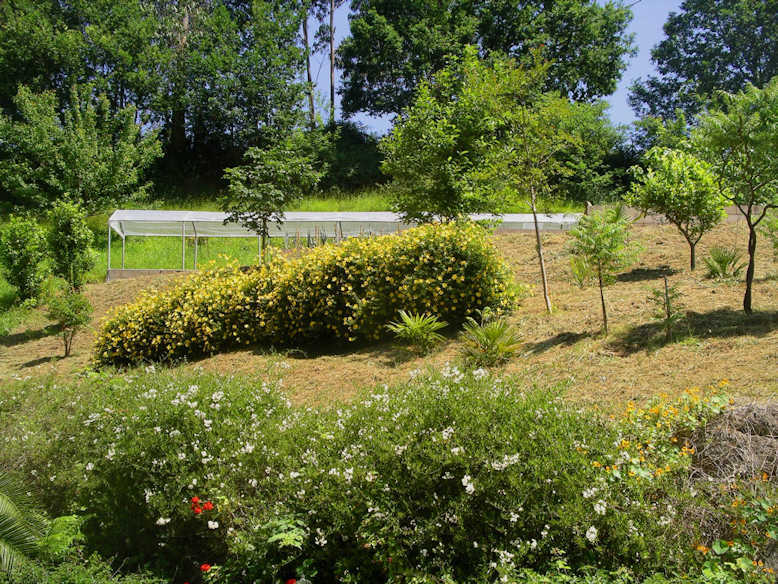 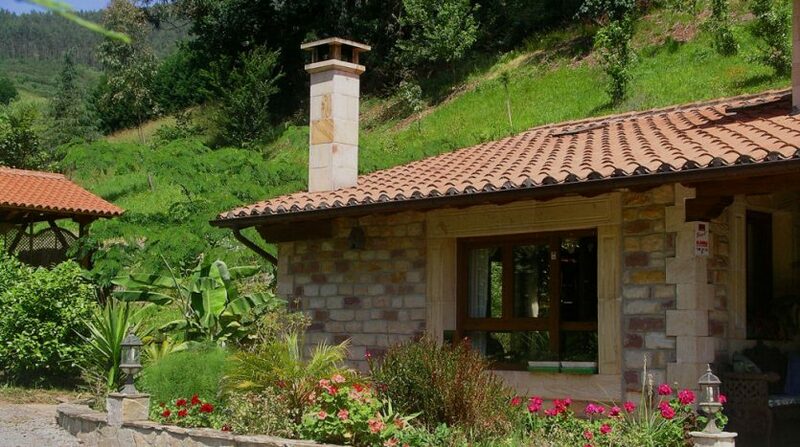 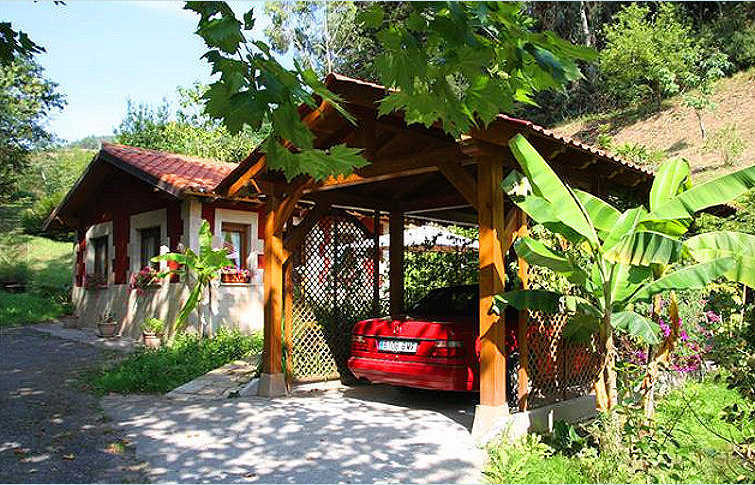 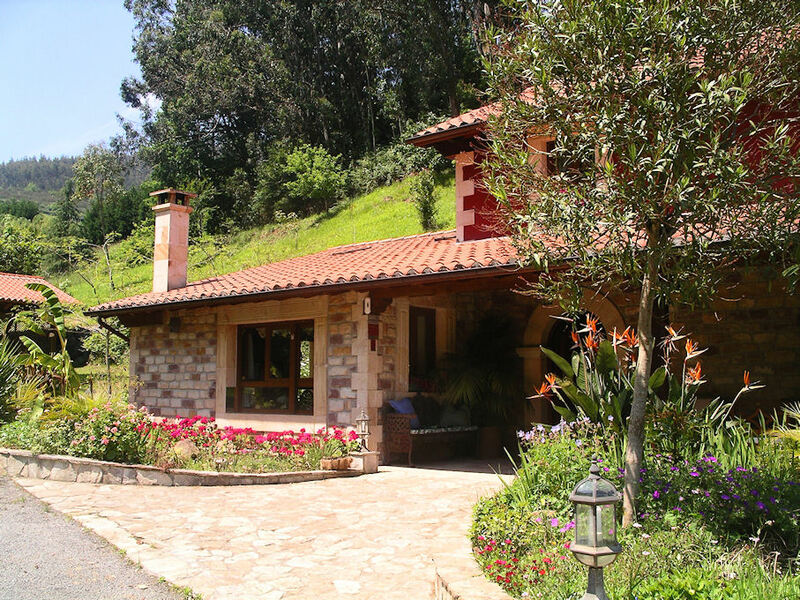 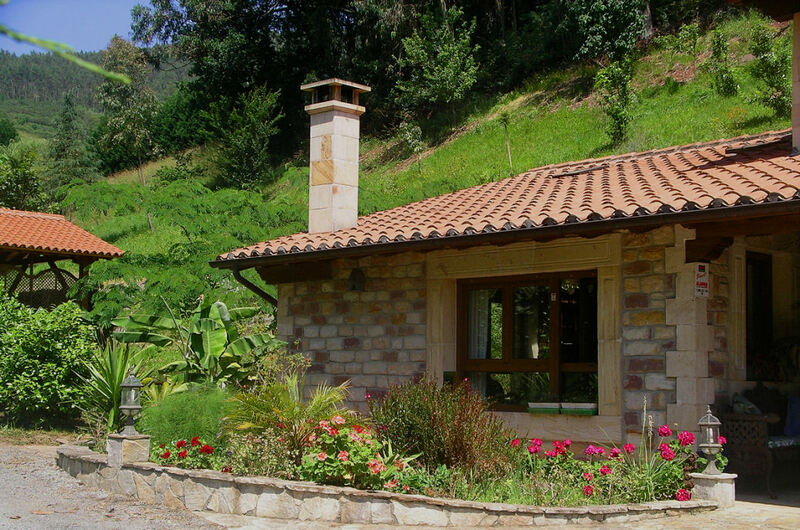 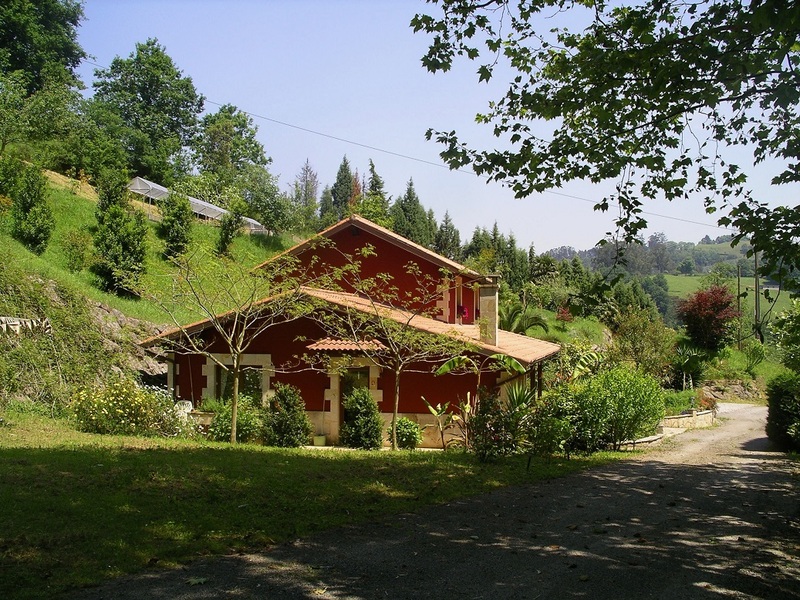 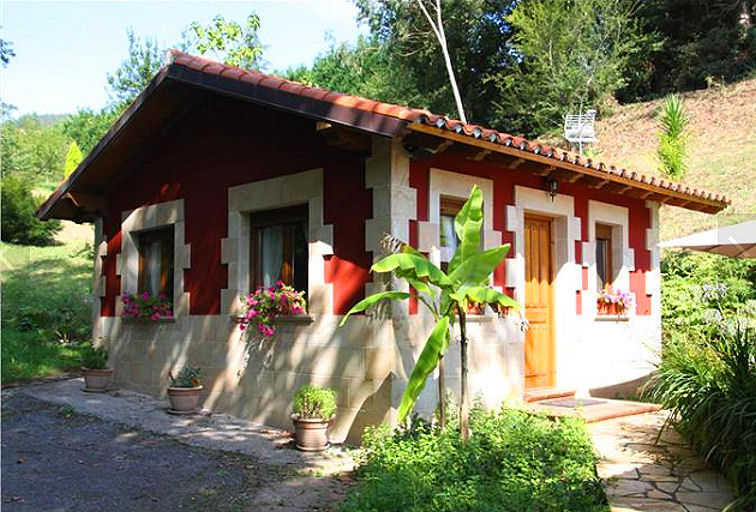 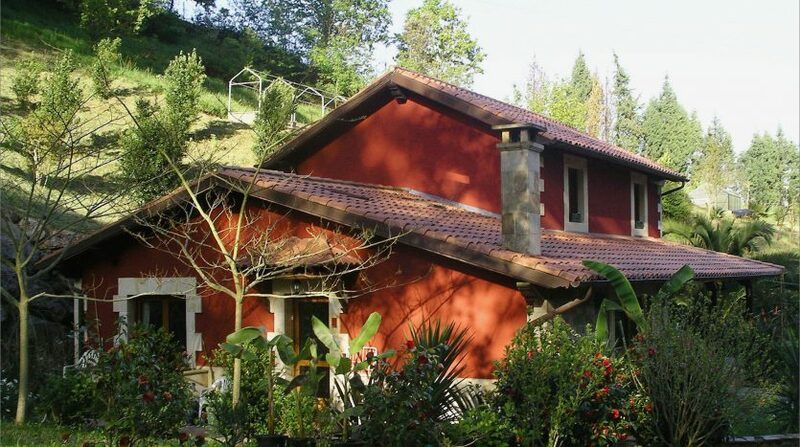 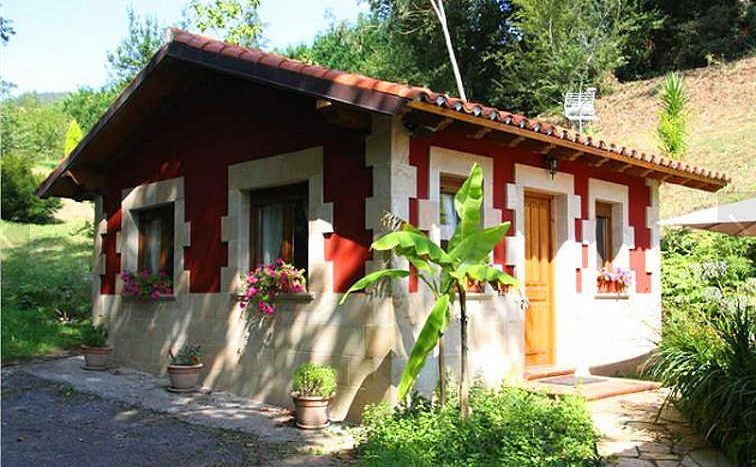 Paradise in Cantabria – main 3 bedroom house, separate self-contained guest house all surrounded by beautiful gardens and land. 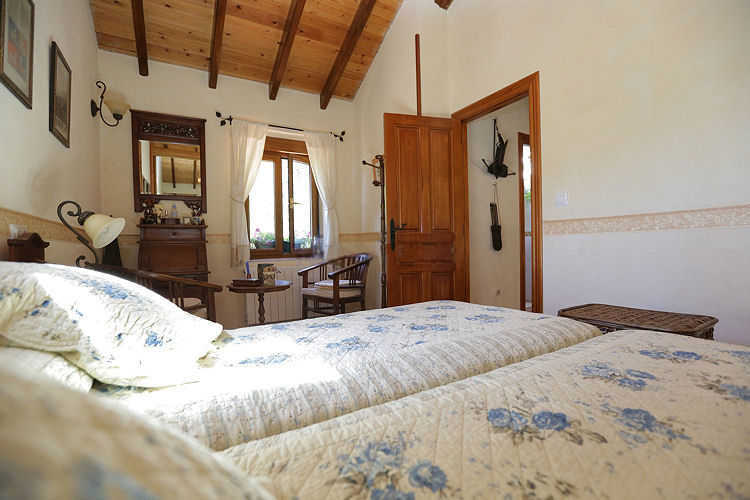 Just 700m from the picturesque village of Puente Viesgo with its choice of great restaurants and facilities. 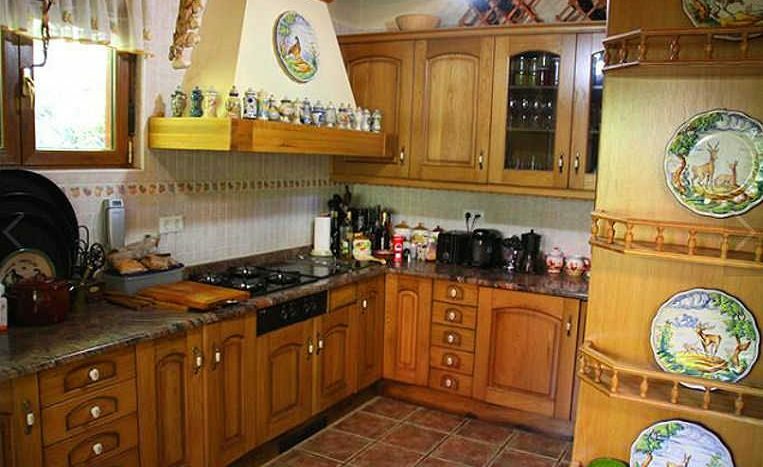 This beautiful Cantabrian home is located just 700m from the pretty village of Puente Viesgo and is just 20mins from Santander with its airport and its ferry links to the UK and Ireland. 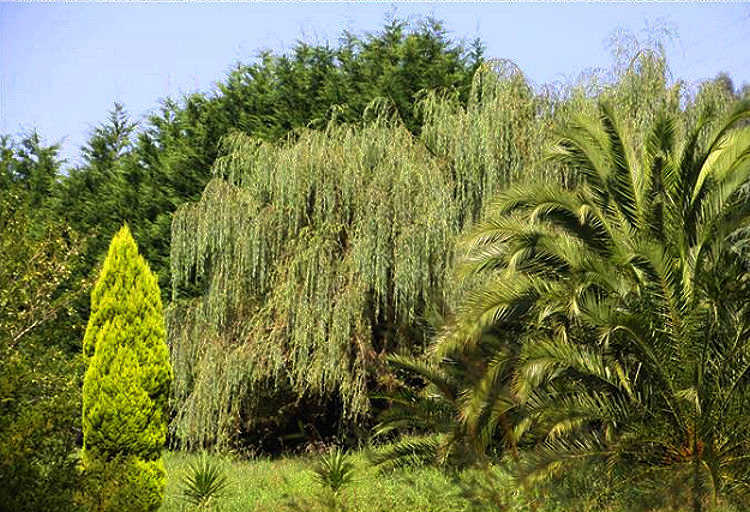 The property and the land around it is an oasis of tranquillity and yet you really can feel a part of the local community. 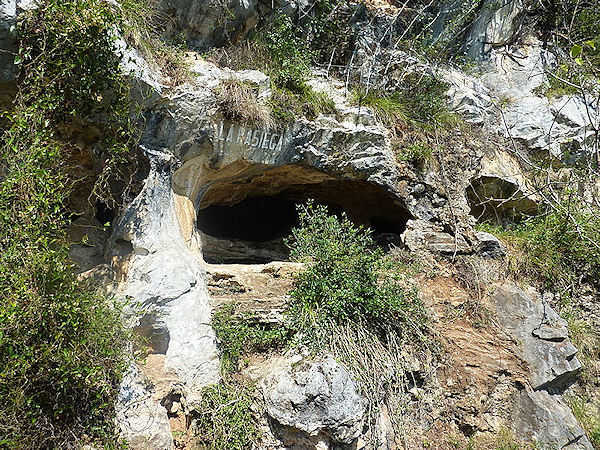 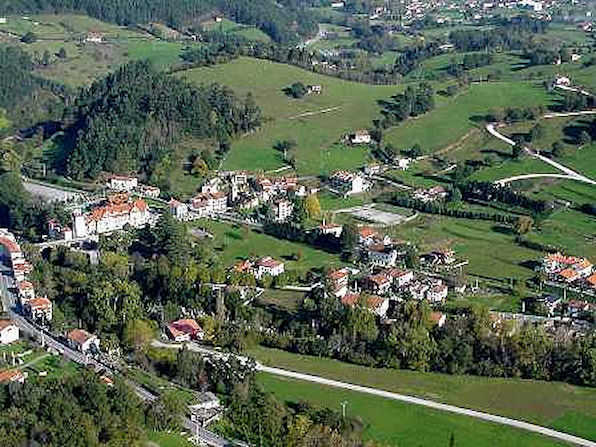 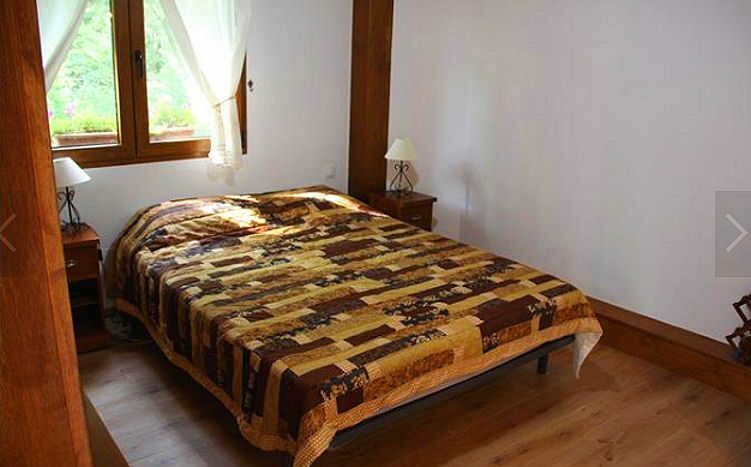 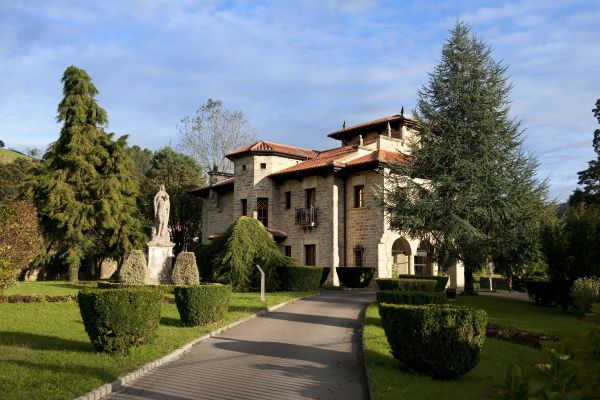 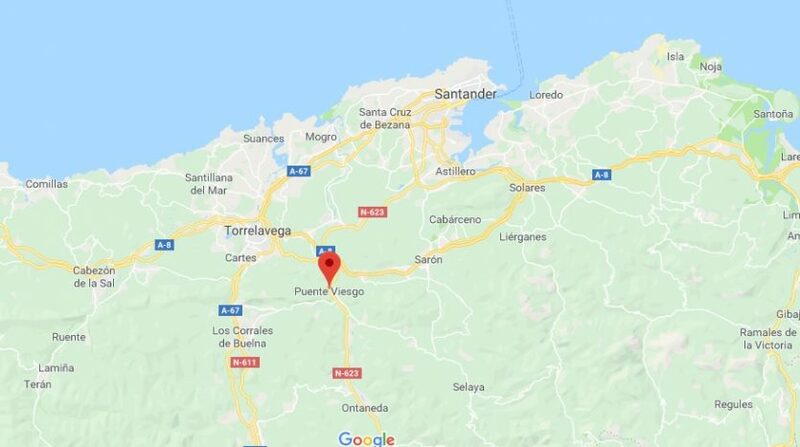 The property enjoys a privileged situation with direct access to the national highway Burgos-Santander, 3 kilometres from the Cantabria motorway (Galicia to France) and only 700 metres from the village itself. 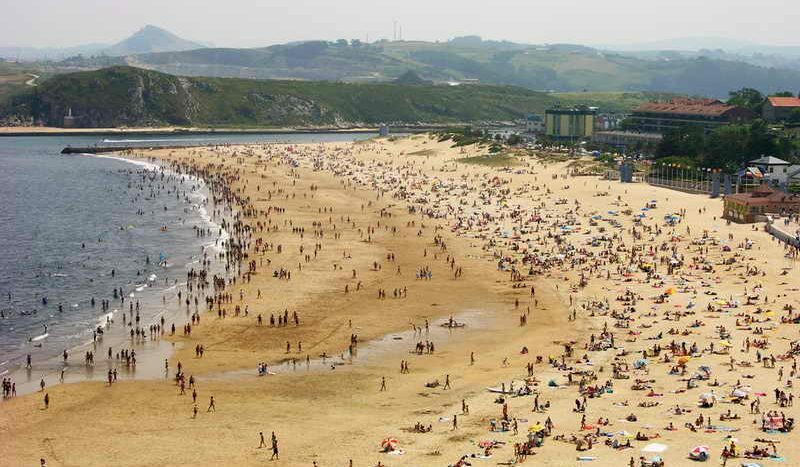 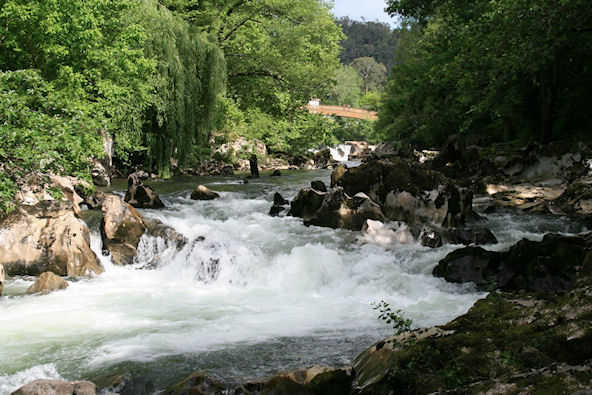 The north of Spain offers unspoilt countryside and beautiful views and this particular area is very popular with nationalities from across the world – the tourism tends to be low impact, nature oriented, walking, cycling and painting rather than the beach friendly tourism of the Costa’s. 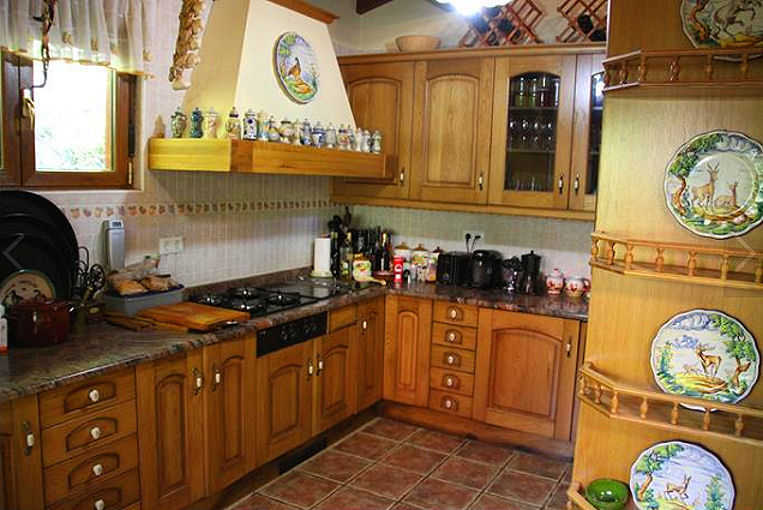 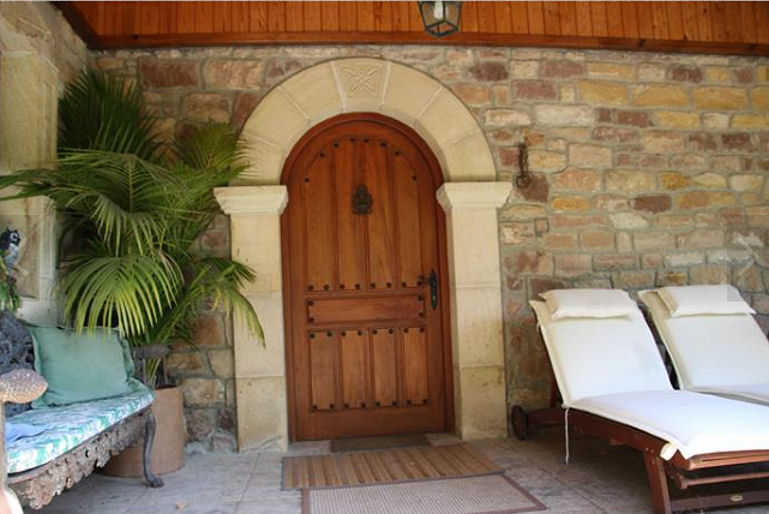 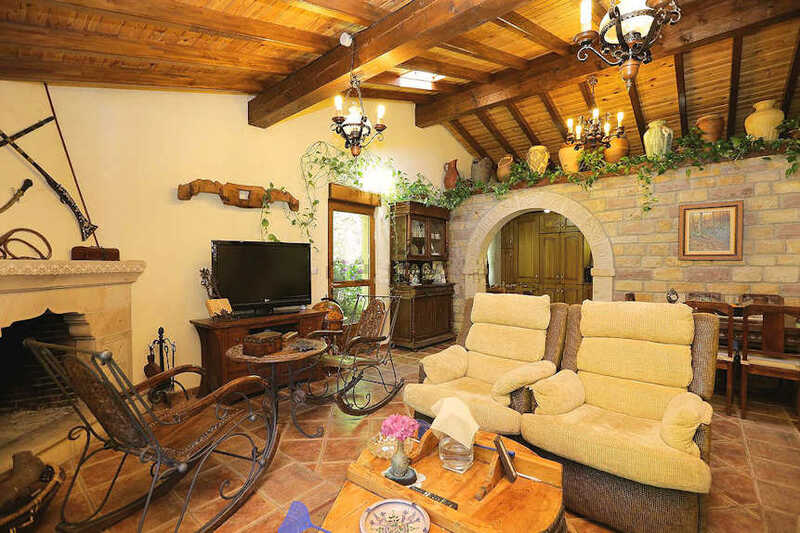 The property itself comes with a main house of 3 bedrooms, 2 bathrooms, a large (30M2) living space with a feature fireplace, a well fitted kitchen/breakfast room and a charming entrance porch. 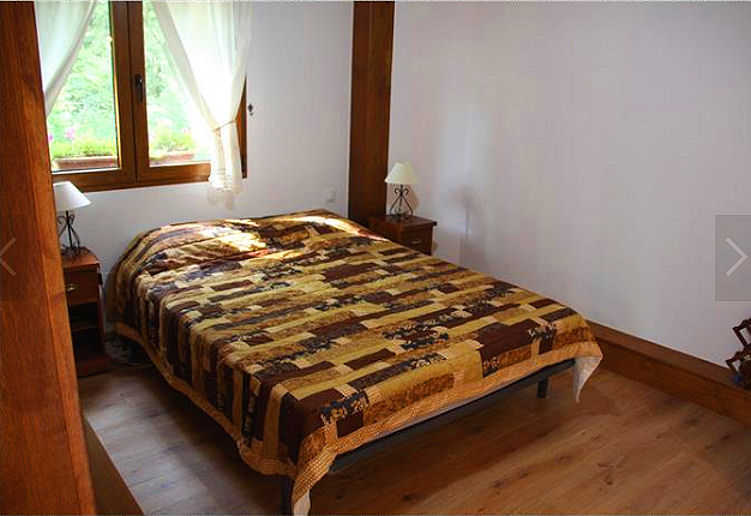 On the ground floor there is also a double bedroom and a bathroom – perfect for those with less mobility or for guests. 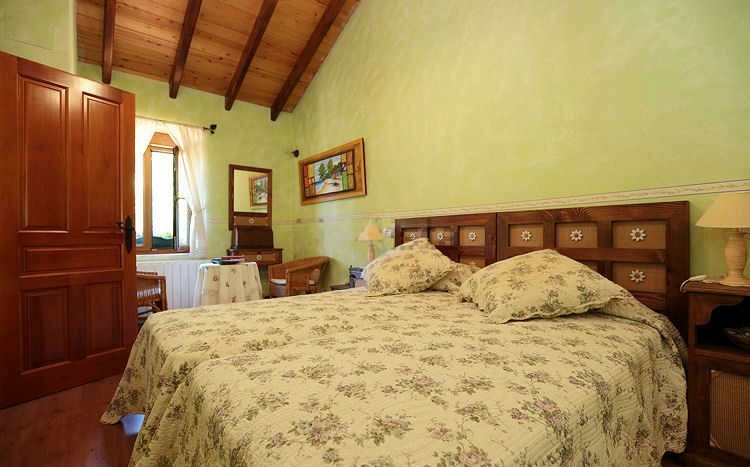 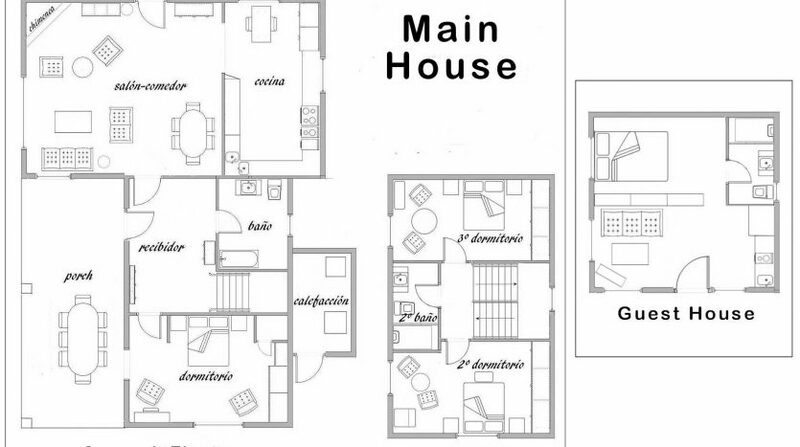 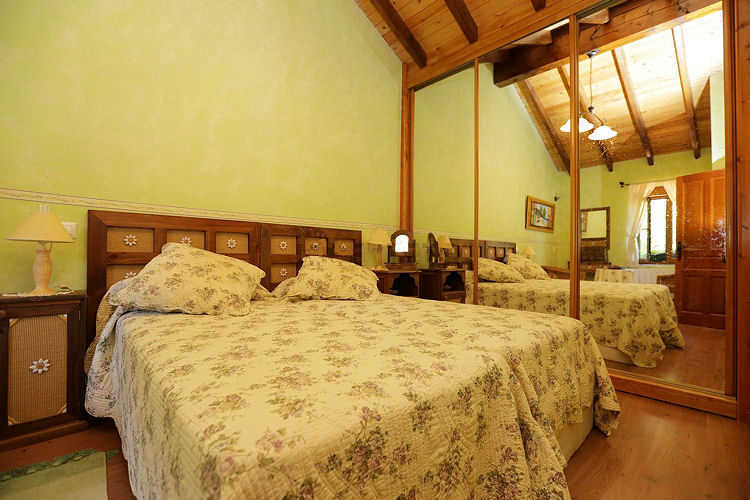 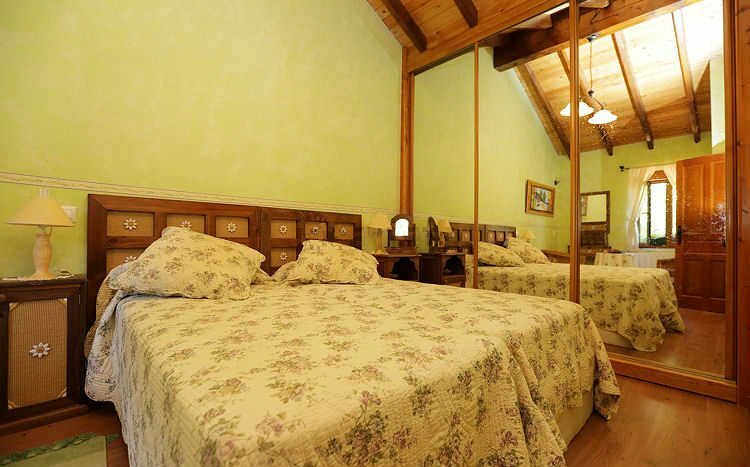 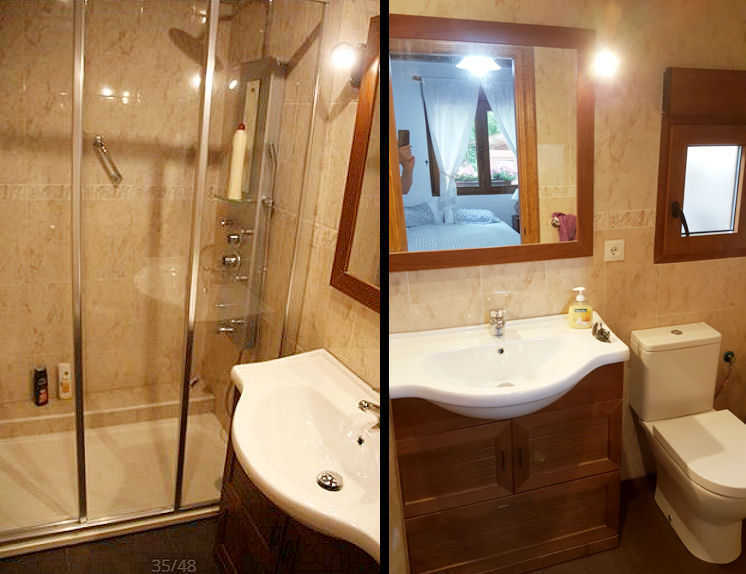 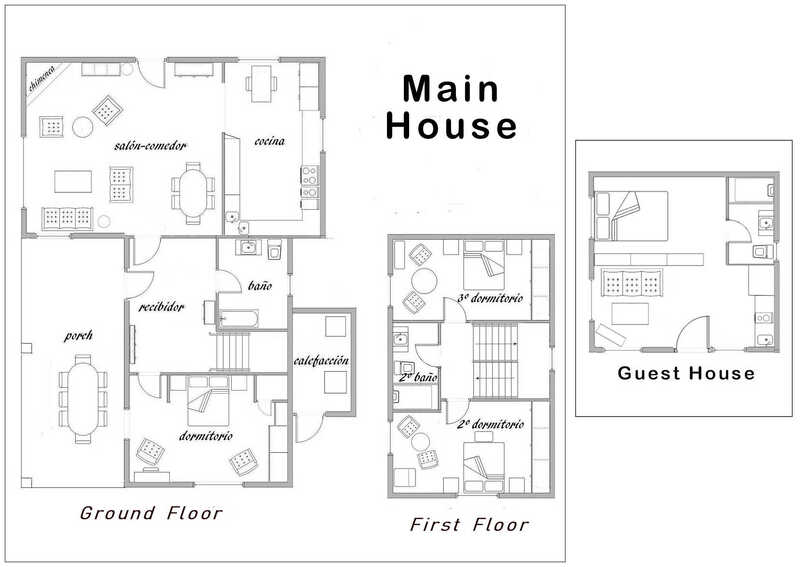 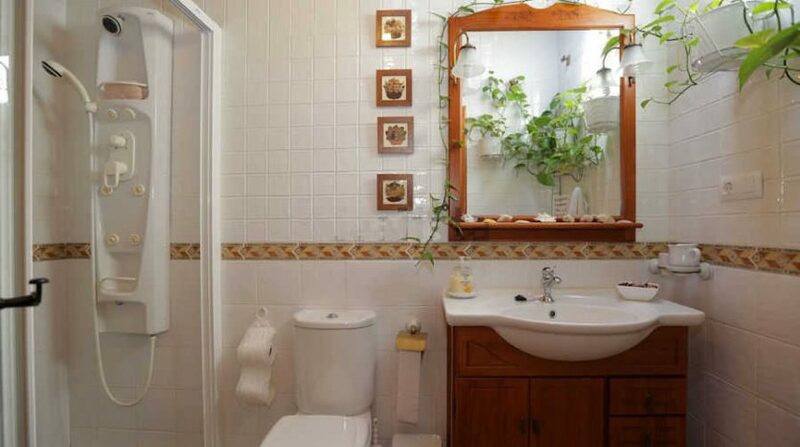 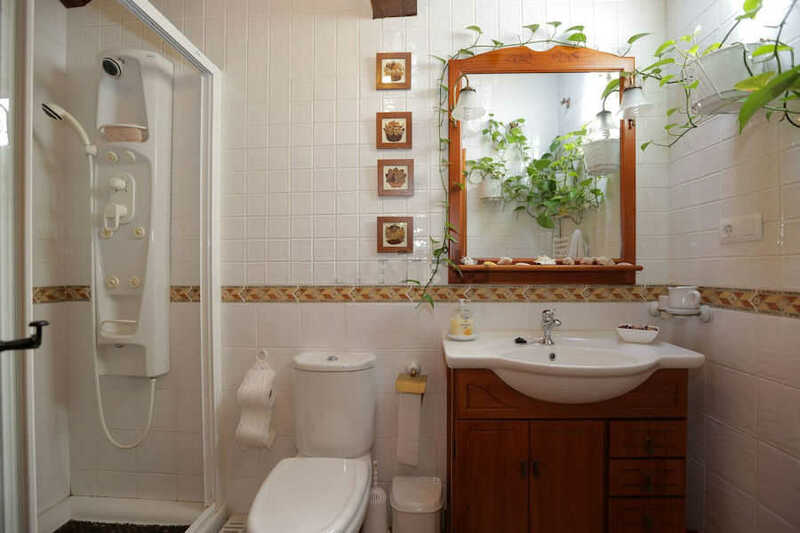 On the first floor there are two large double bedrooms and a bathroom with shower. 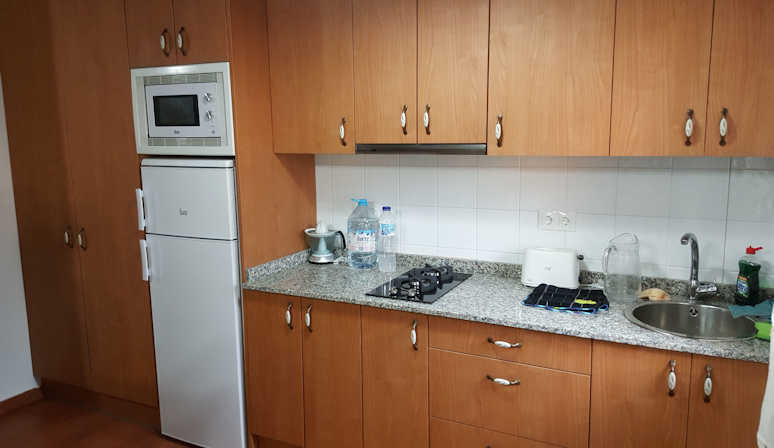 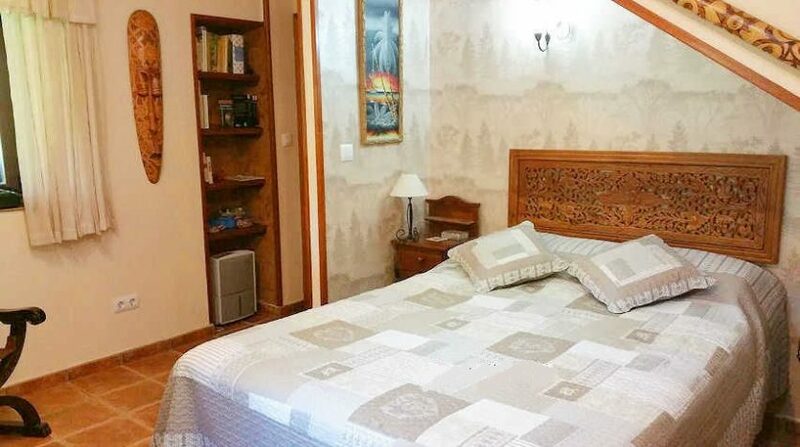 Guests can easily be catered for with a self-contained guest house comprising a bedroom and bathroom, a living space and a fully functioning kitchen. 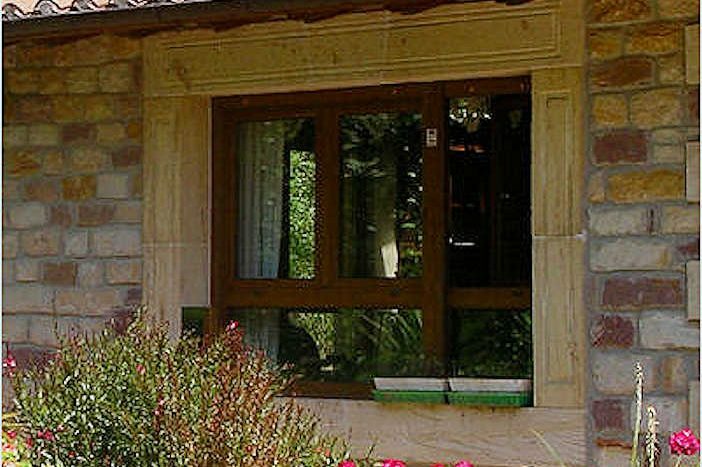 The guest house also has a private terrace. 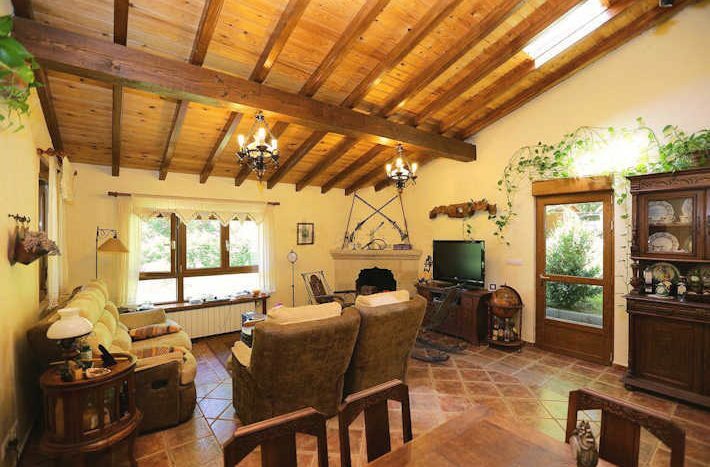 ♦ Close to great beaches and 11 different golf courses! 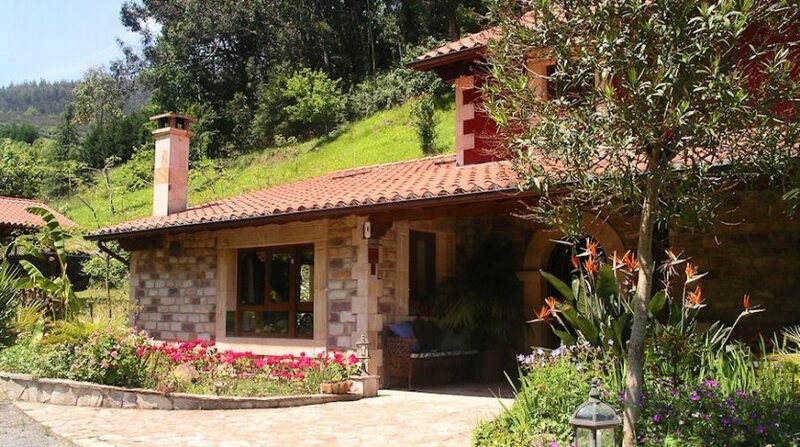 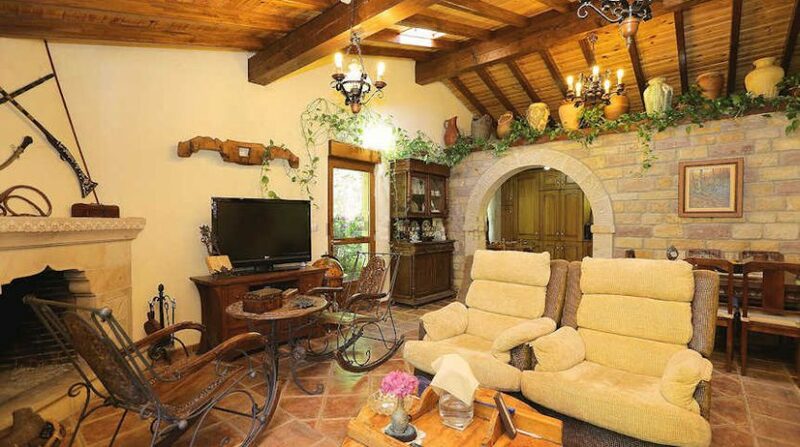 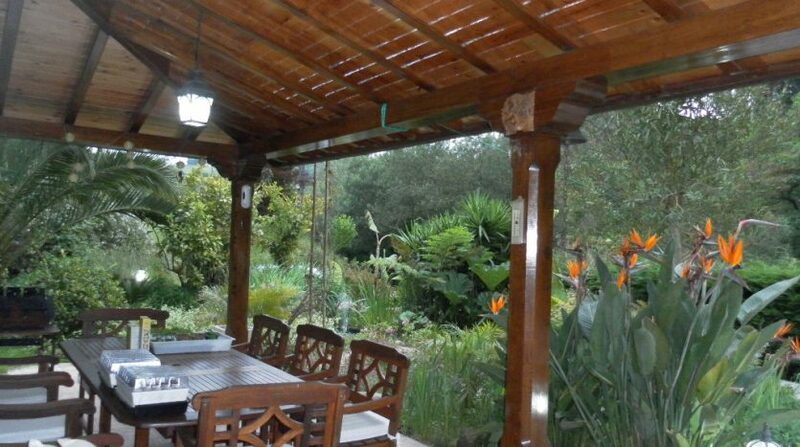 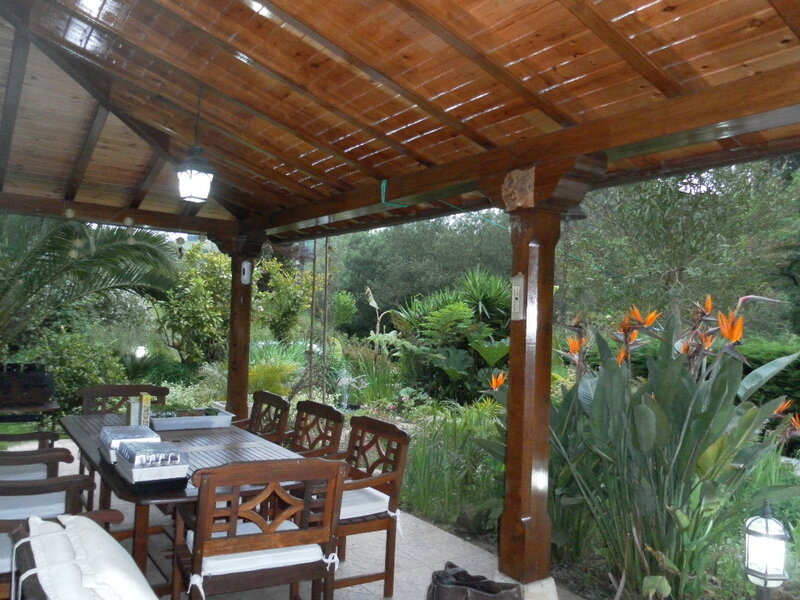 The property is surrounded by mature and beautiful gardens. 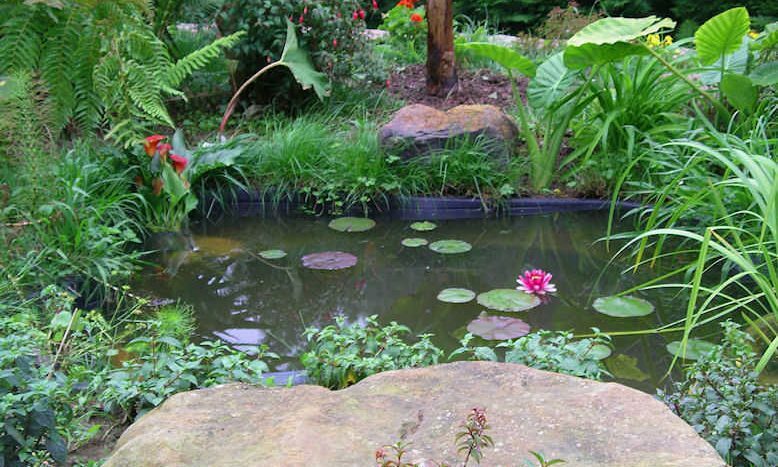 At the front and side of the main house are two feature ponds and fountains, fern trees, palm trees and even a banana tree. 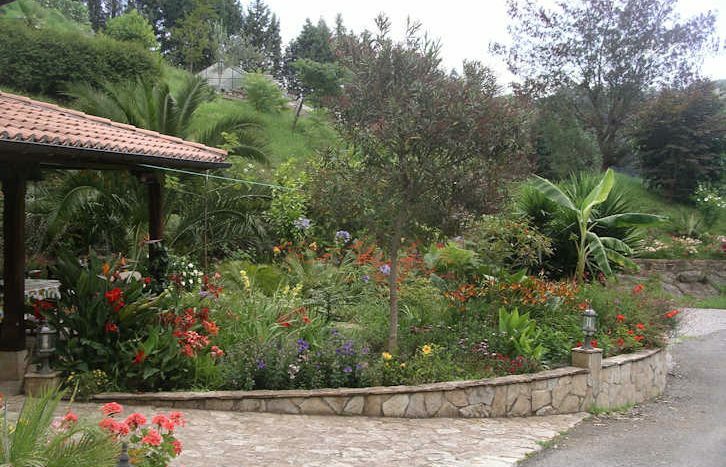 It must be noted that this house sits at just 100m above sea level and this lower level ensures that many plants will thrive that would struggle at a high altitude. 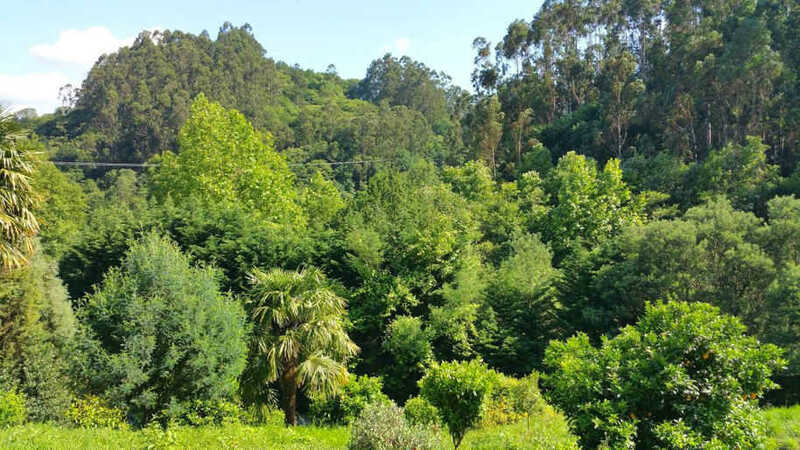 It also means that this property benefits from a milder climate than the more exposed and higher properties in the wider area. 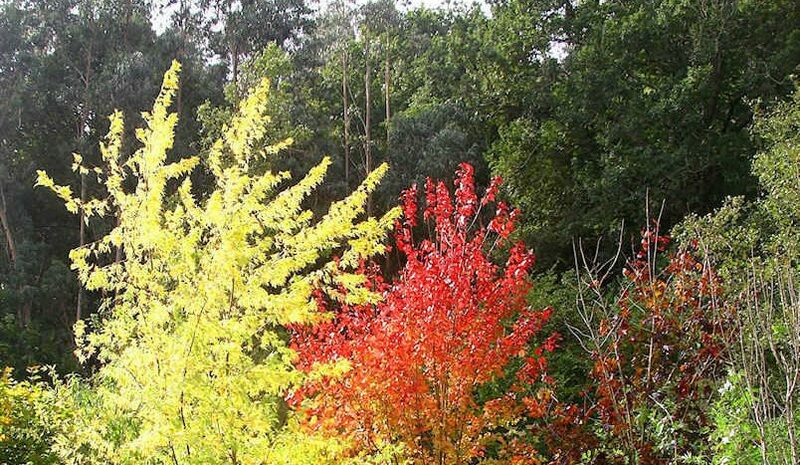 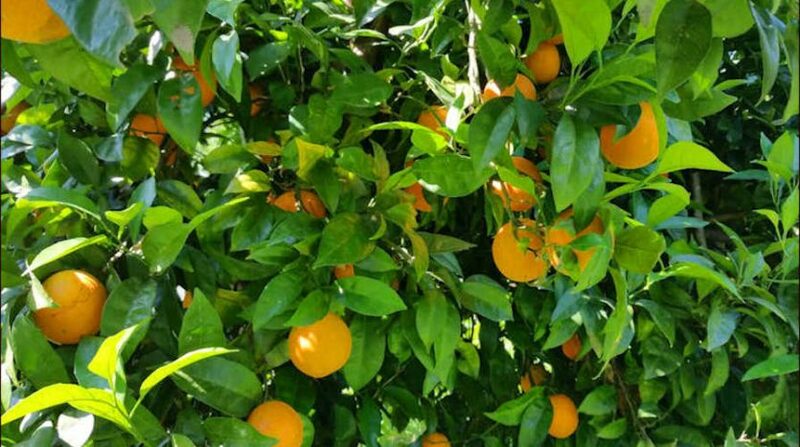 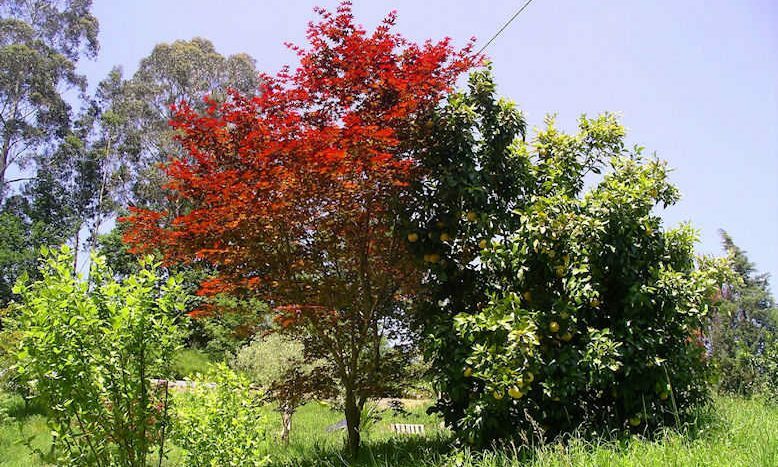 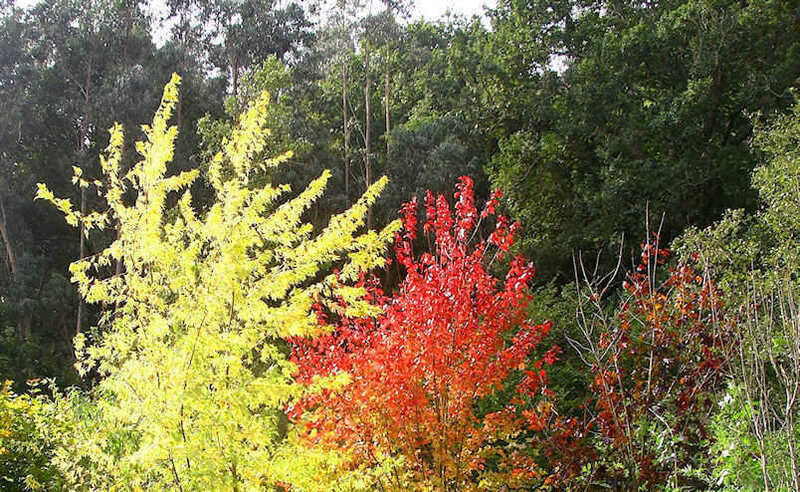 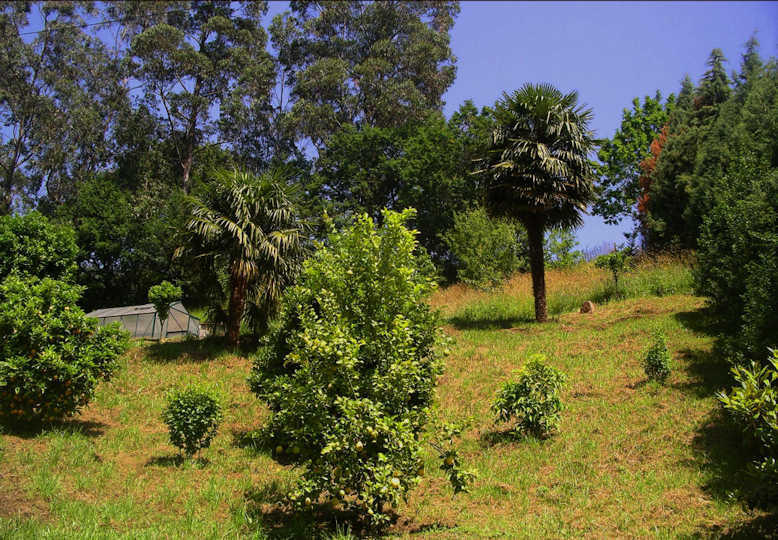 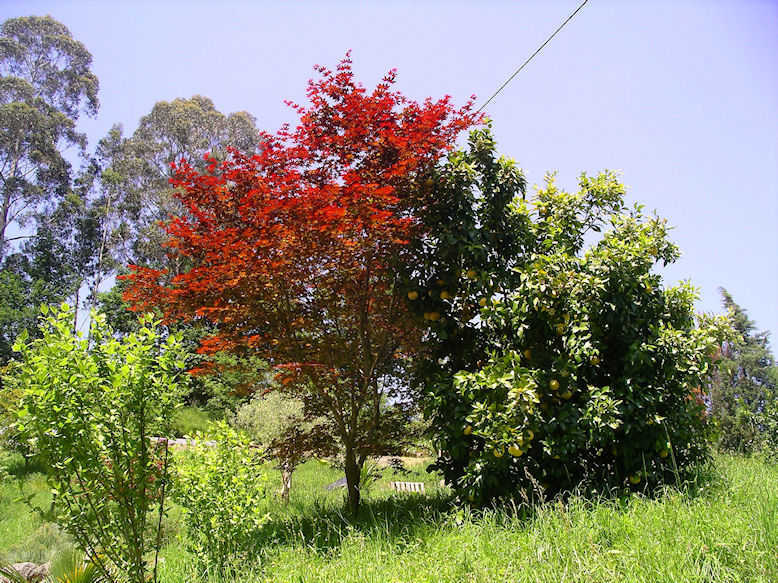 The wide range of exotic trees is an illustration of just how good a climate this property enjoys – sweet oranges, lemons, limes, tangerines, grapefruit and feijoas from Brazil have all been planted by the current owners. 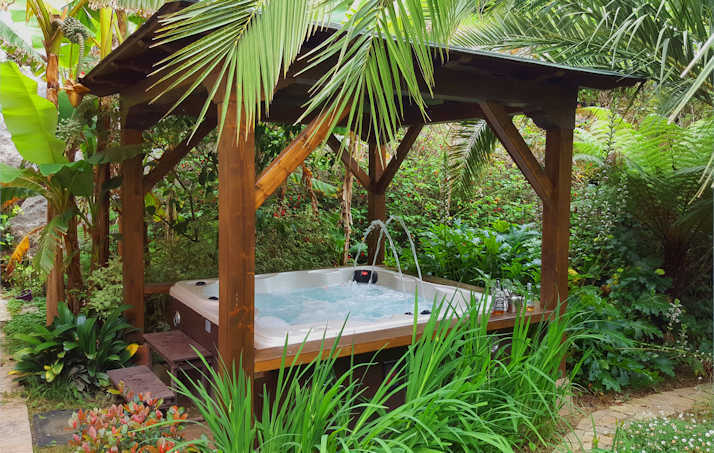 A gazebo provides cover for a 6-person Jacuzzi which is a great place to relax and unwind after a long walk or plenty of gardening. 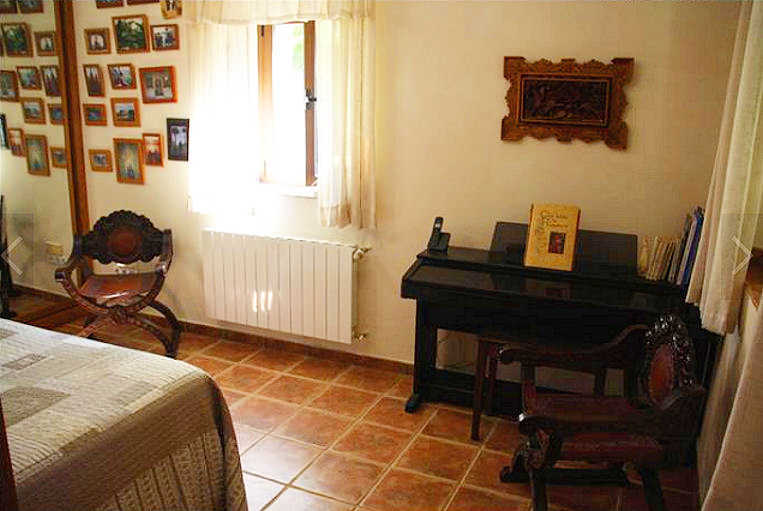 At the back of the main house there is a boiler room which is also home to garden tools. 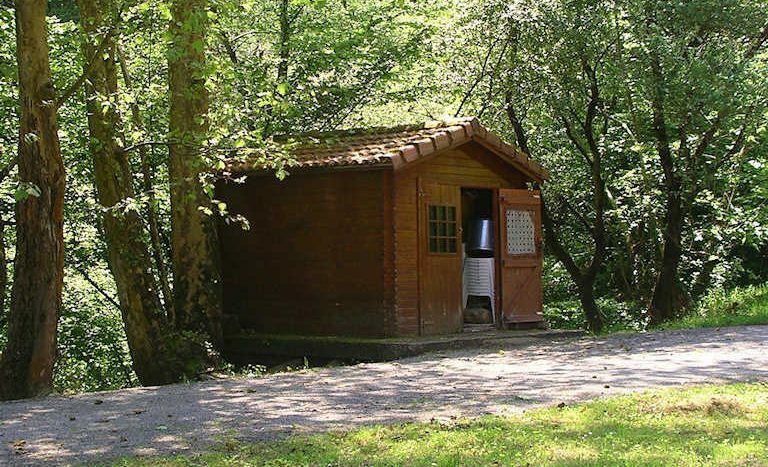 Within the gardens is a carport, wood store and a wooden tool shed. 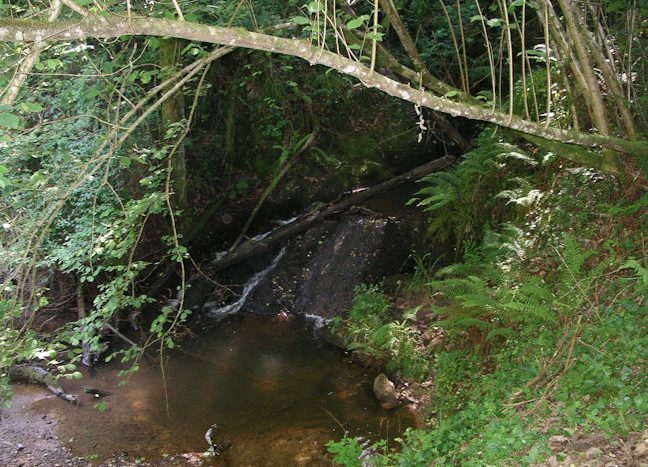 Steps from the gardens lead down to the river which forms the boundary to the southern side of the land. 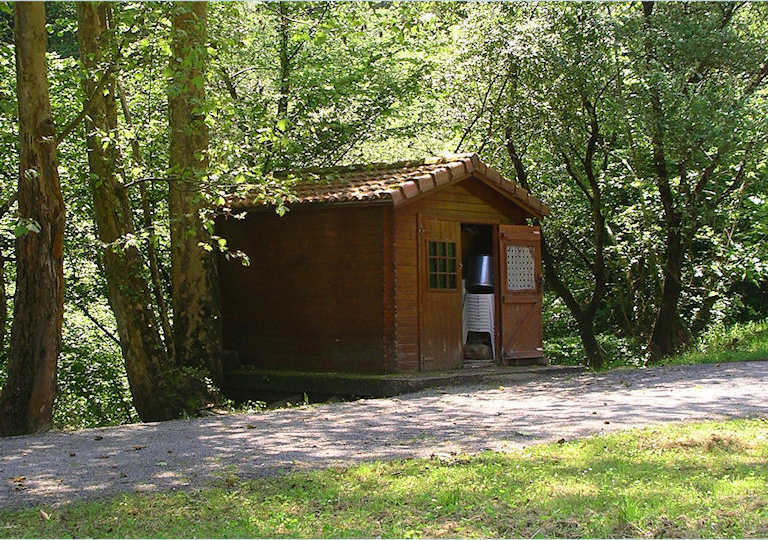 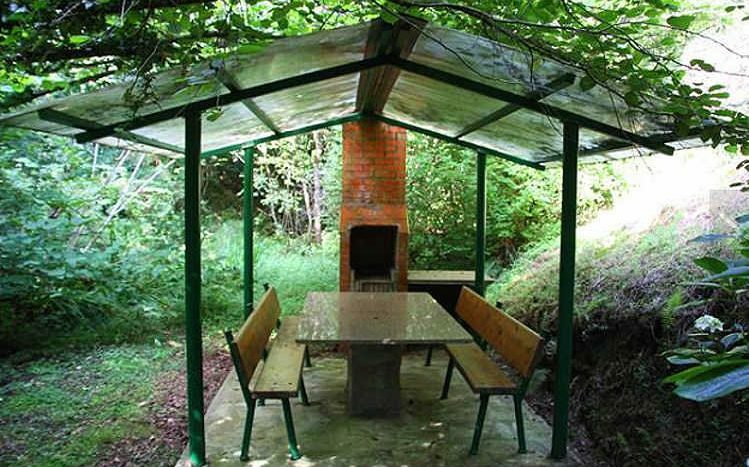 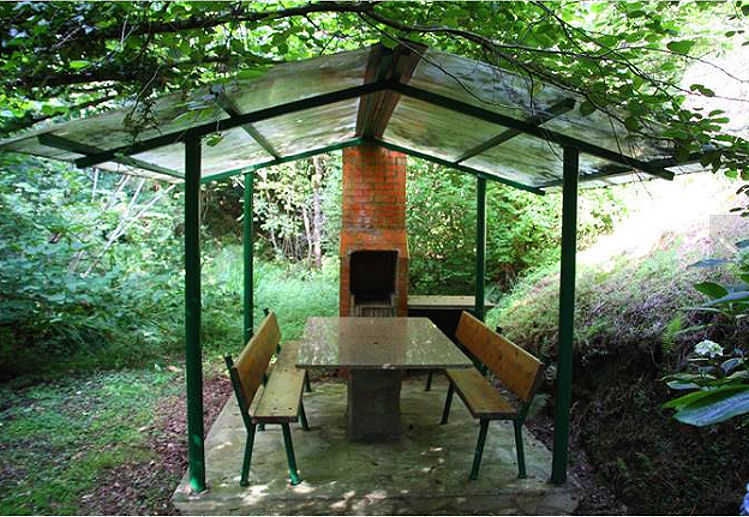 A barbecue pit and a covered picnic area is a great place to relax and enjoy the peace and tranquillity. 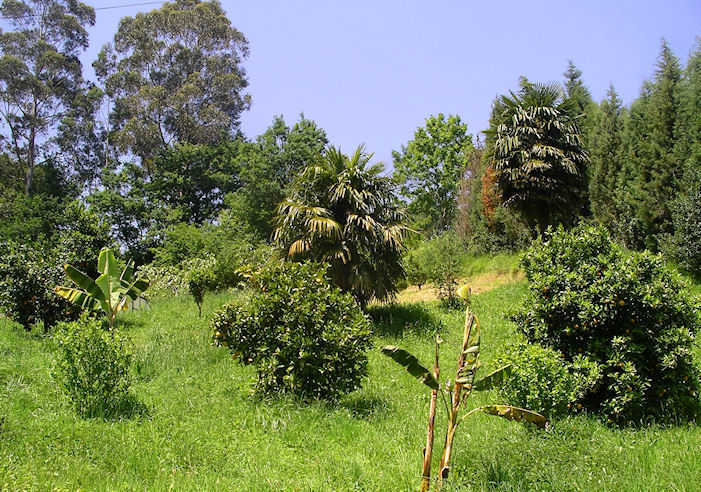 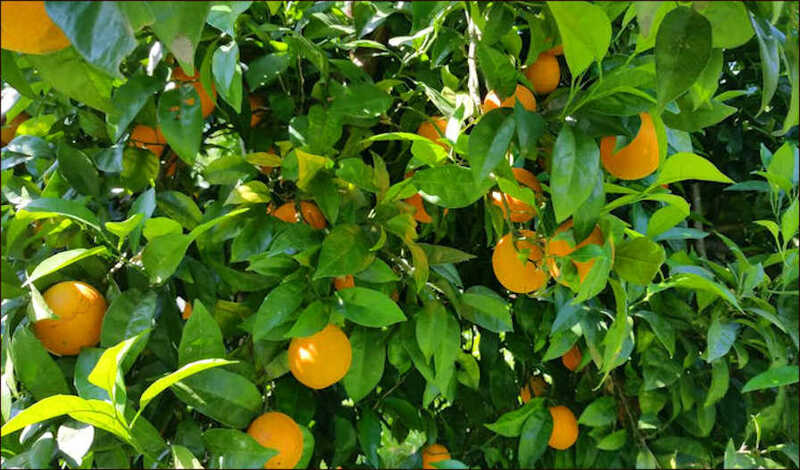 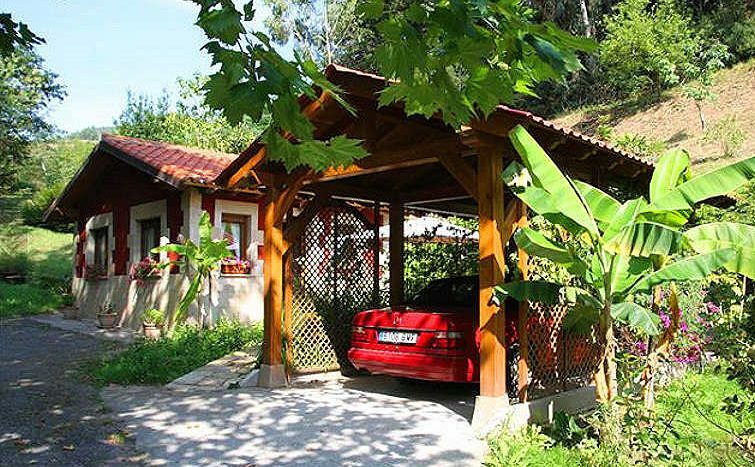 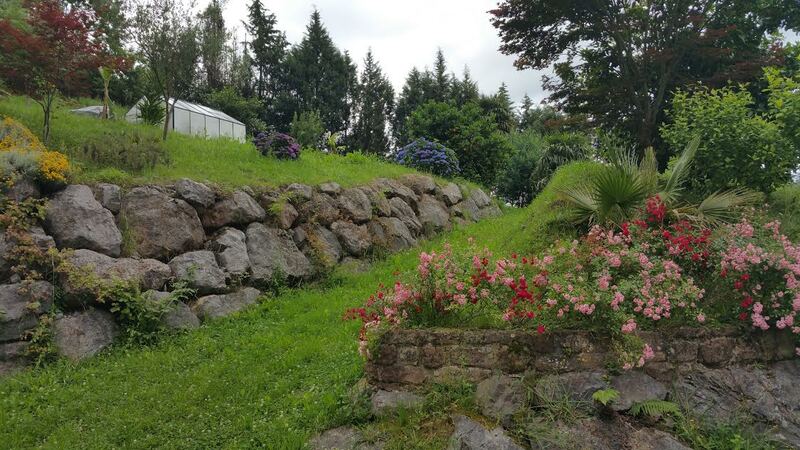 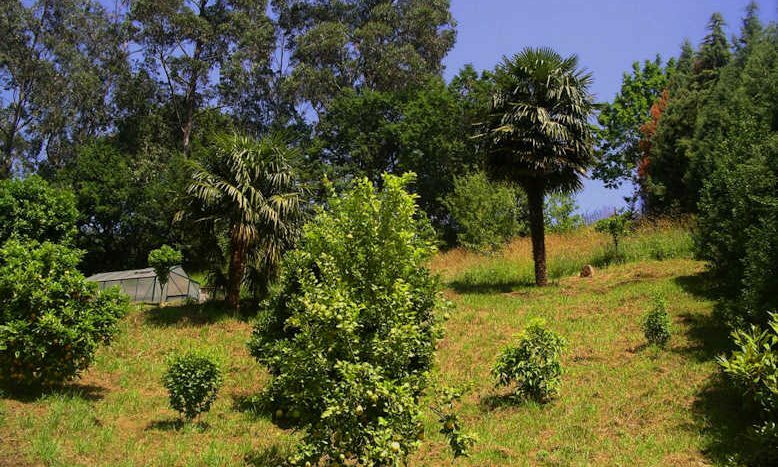 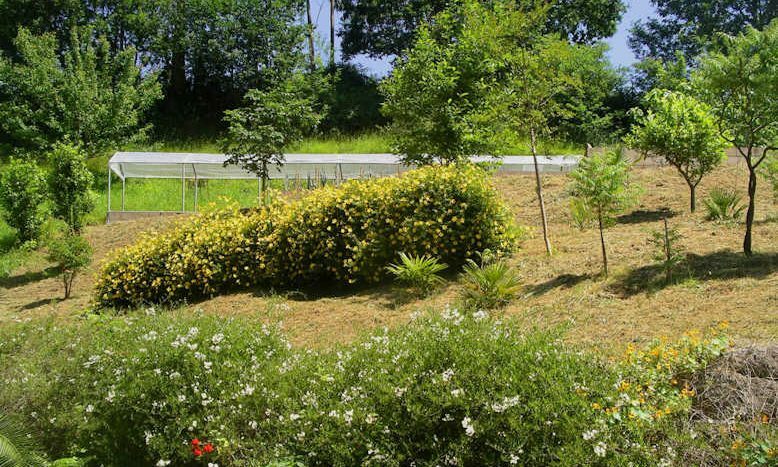 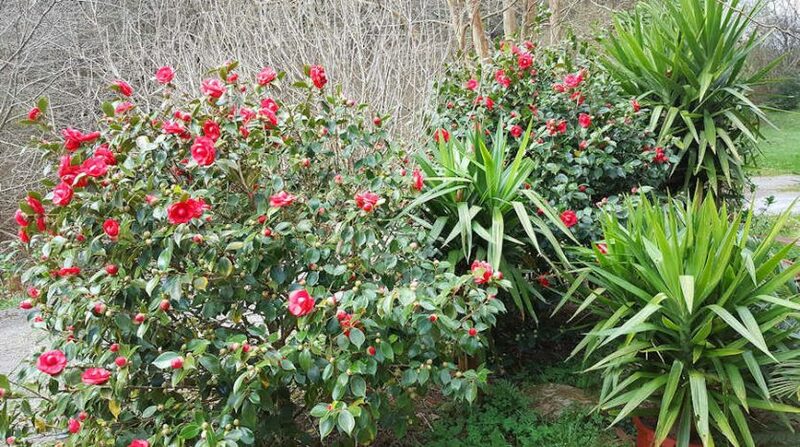 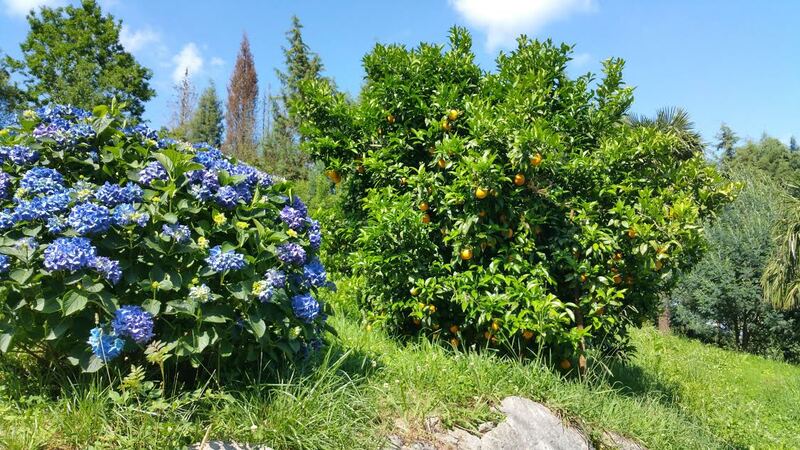 The land area in total amounts to more than 20,000M2 with meadows, ornamental and fruit trees, such as orange trees, lemon trees, apple trees etc. 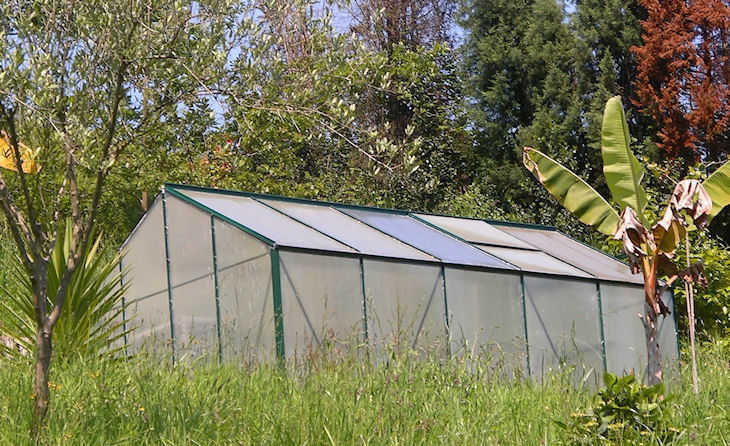 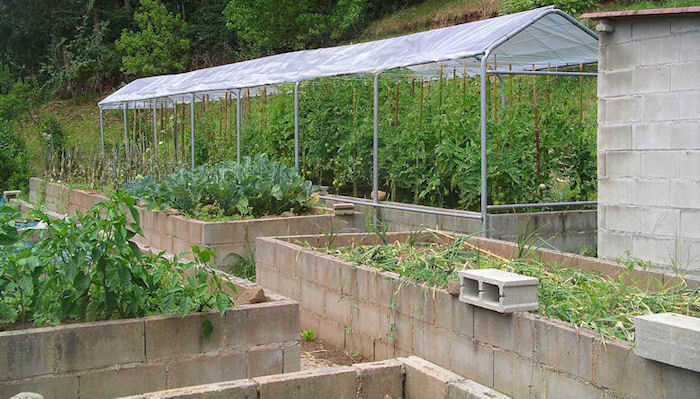 A greenhouse and a vegetable garden with elevated planting beds are a short distance from the house. 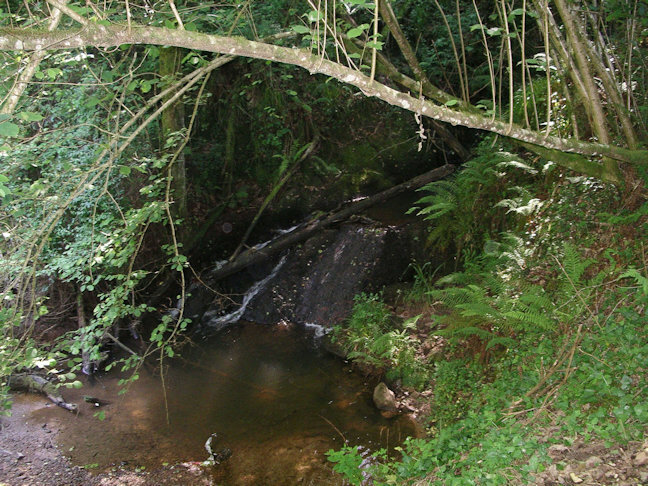 The southern boundary of the area is a small river. 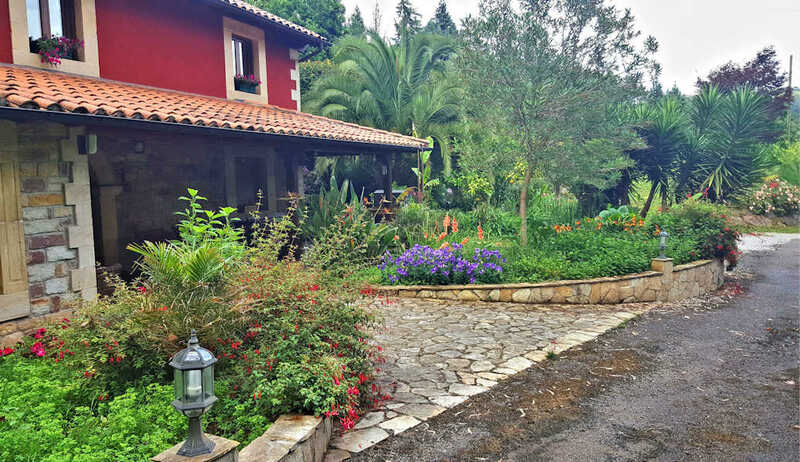 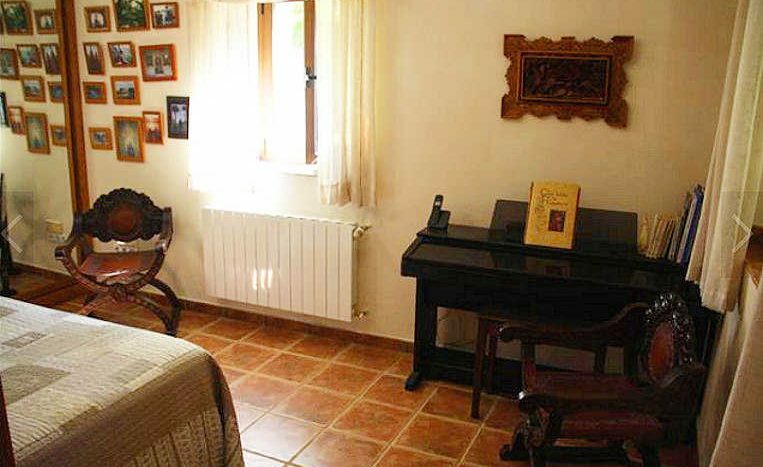 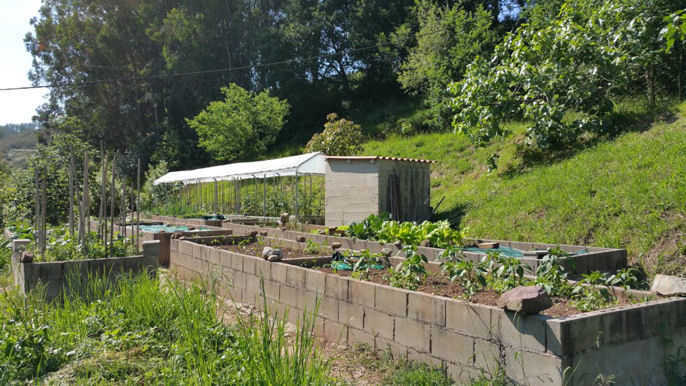 The property is located just 700M from the village of Puente Viesgo which has, for many years been a destination for good food and a healthy lifestyle. 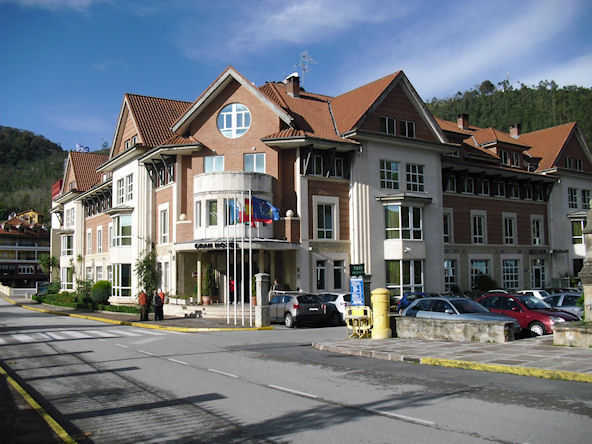 The village offers a good choice of restaurants including the Spa hotel and restaurant of the Gran Hotel Balneario which is well known for its spa facilities, thermal waters and great dining. 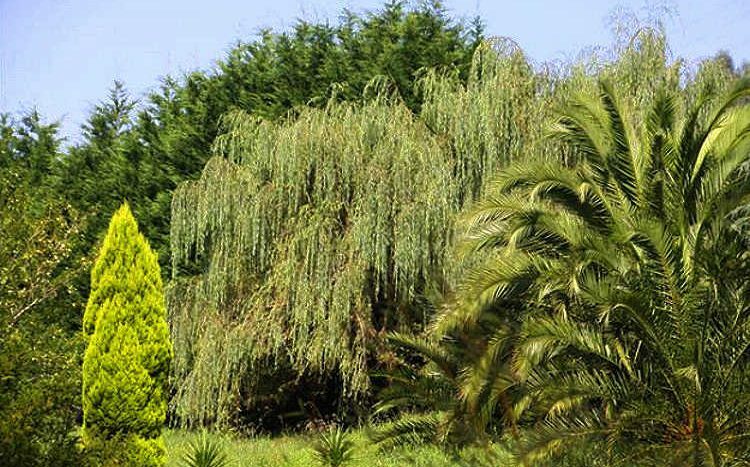 Supermarkets and restaurants are two minutes away from the property and larger shopping centres can be found just 10mins away. 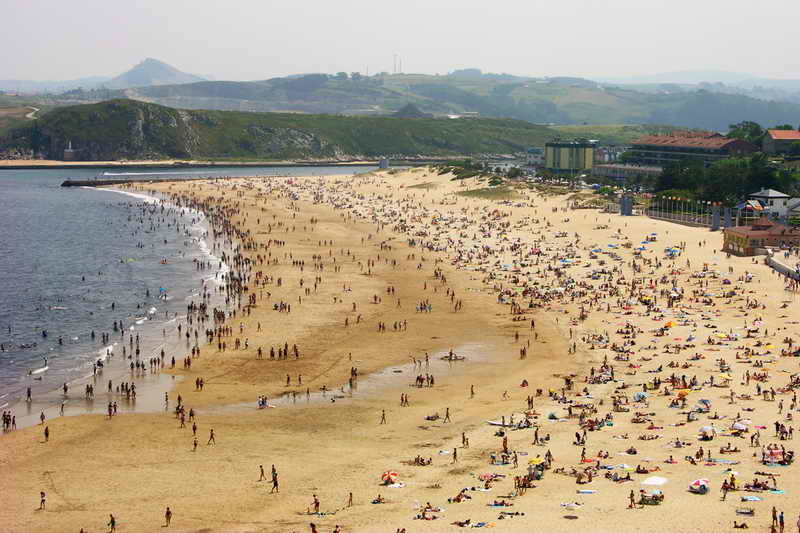 With good motorway connections, the airport and beaches can be reached in 20 minutes. 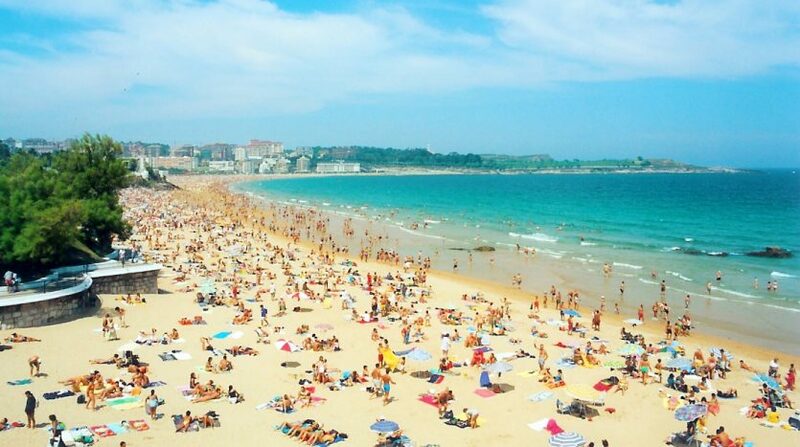 Santander is a popular city with all the usual facilities you would expect – an airport (named after the famous Spanish golfer, Severiano Ballesteros) with direct flights to London and Edinburgh among other destinations. 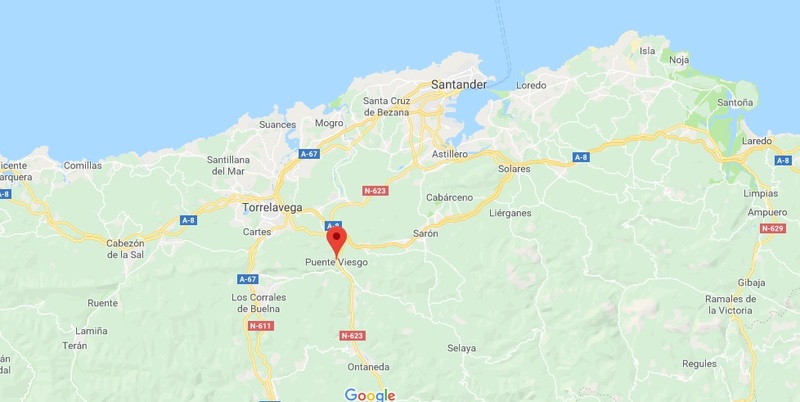 There are several beaches about 20 minutes away as well as 11 golf courses in the area – the closest being the Abra del Pas just 20mins away. 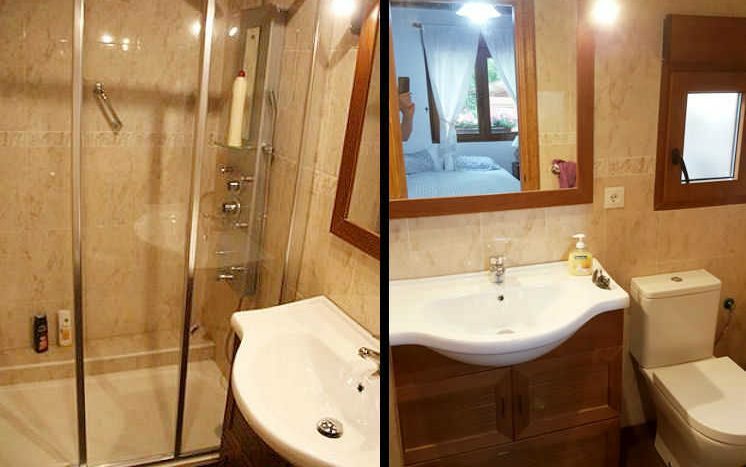 The ferry services are well known with regular services to Portsmouth and Plymouth and a new service starting to Ireland. 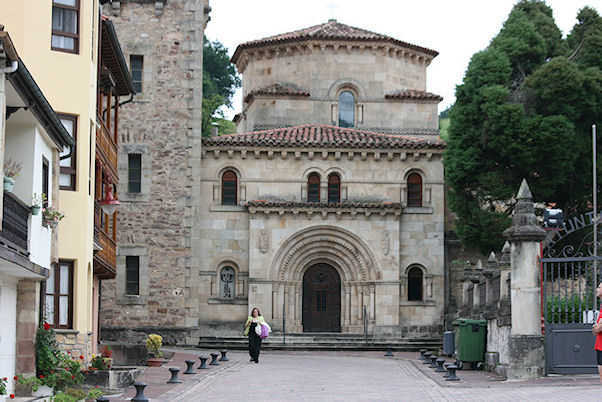 As well as Santander, Bilbao is 1 hour away and offers further flight options to nearly 40 destinations. 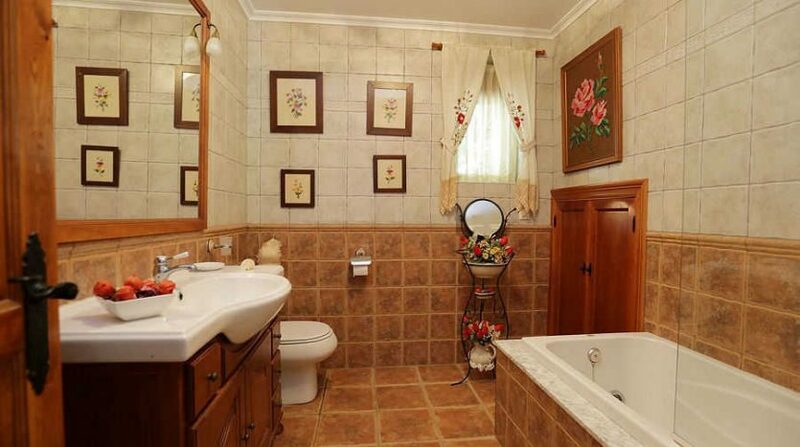 This is a delightful home with guest accommodation. 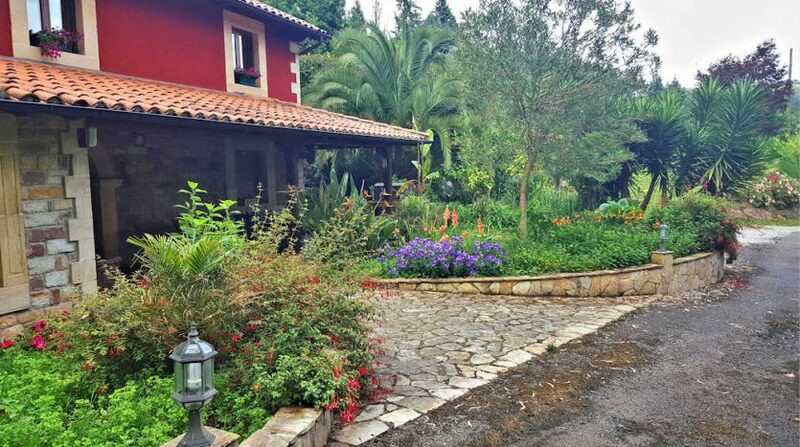 A haven of peace and tranquillity but with easy access to Puente Viesgo and Santander, this property really does offer the best of both worlds. 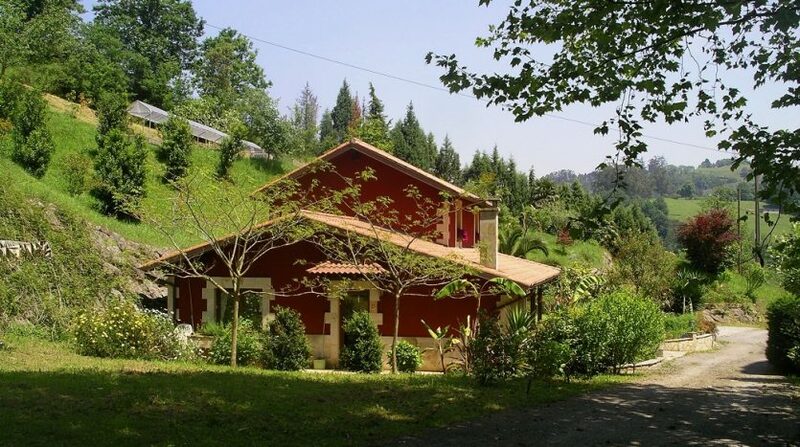 Surrounded by beauty, the property would be the perfect place to escape the hustle and bustle of modern life and it could easily provide a self-sufficient lifestyle with vegetable gardens, spring water and plenty of space! 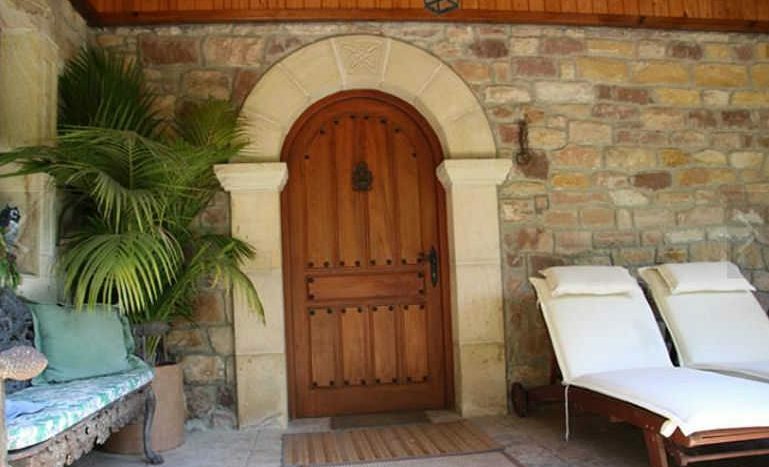 This is a very special home and must be viewed to be fully appreciated. If you would like to contact the owners, we can introduce you to Beverley and Julio who have thoroughly enjoyed their time here. 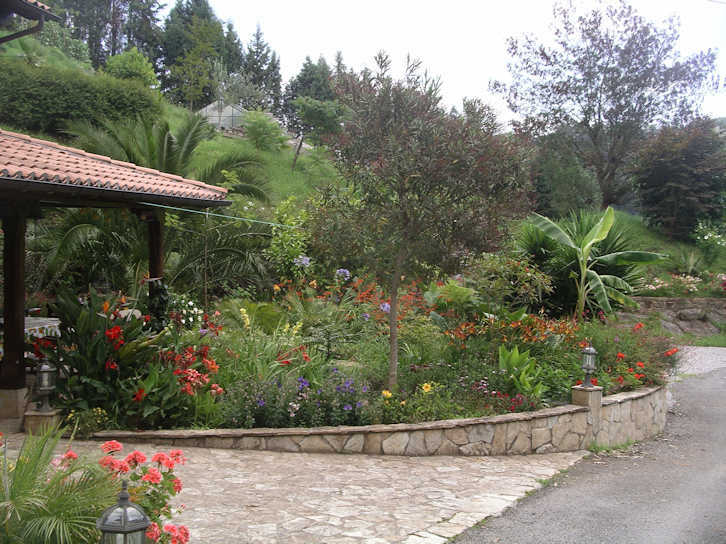 Large, 2,210 Urban Building Plot overlooking Moraira and the Mediterranean Sea. 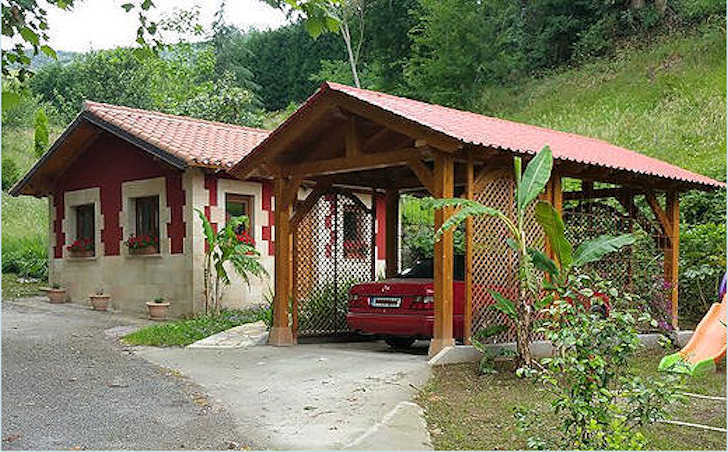 Supplied with water, electric, telephone and Internet, this is the perfect opportunity to create your dream home. 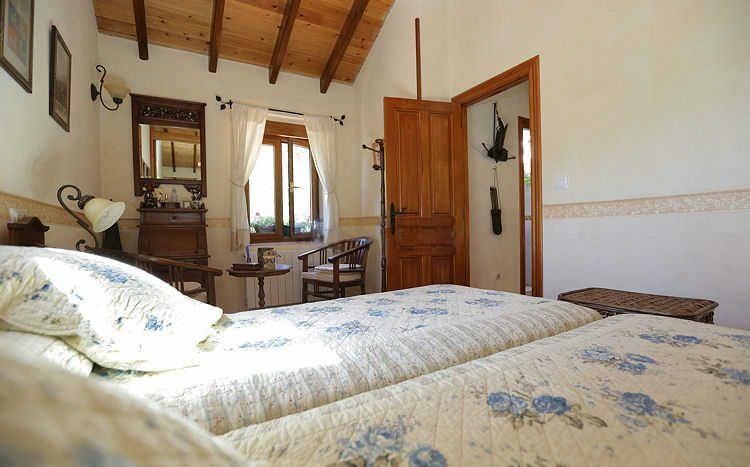 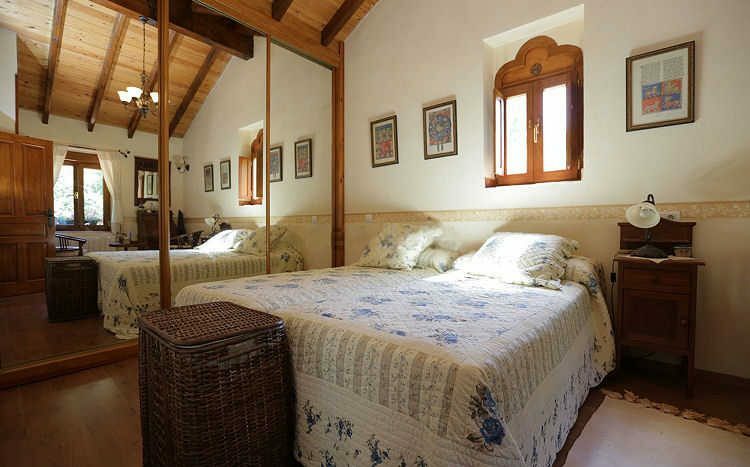 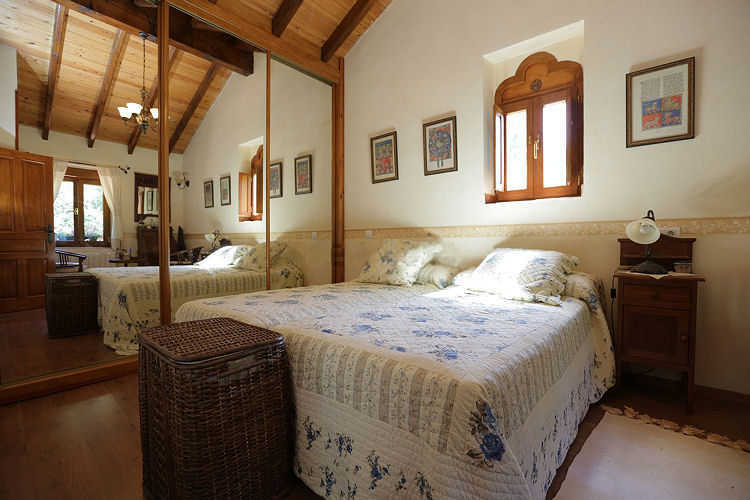 Just 3mins from Ronda, a charming 5 bedroom country home with main house and self-contained 2 bedroom guest house. 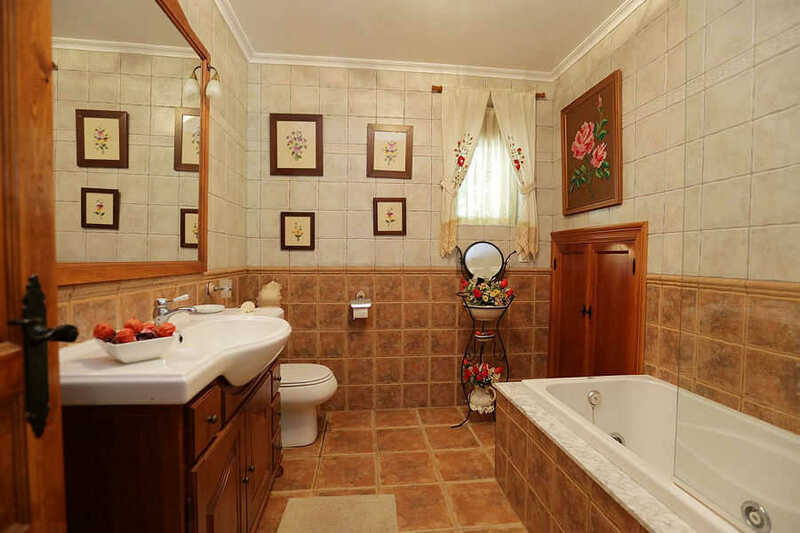 Great views and surrounded by unspoilt countryside and yet just 250m from a tarmac road between Ronda and Sevilla.